Welcome to 12718 Millstep Terrace! 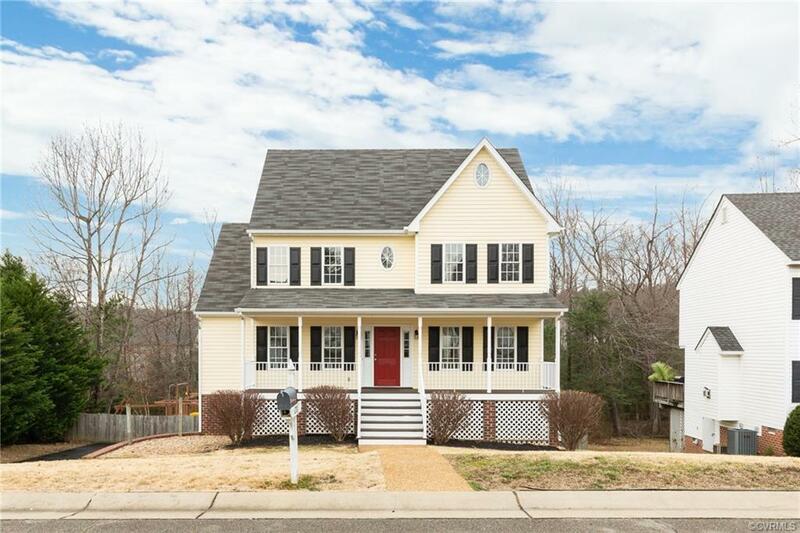 This beautiful 2.5 story home is located conveniently in Chesterfield County. This home sits on a 0.2 acre lot and features 5 bedrooms, 2.5 baths, and a 2 car garage. Walking through the front door of this home you are immediately stunned by its gorgeous wood floors and spacious interior. The open floor plan of this home allows easy access from the kitchen to living areas. The living room features a gas fireplace, perfect for keeping your toes warm in the winter. The kitchen of this home features wood cabinets, stainless steel appliances, and granite countertops. Enormous bay windows illuminate the space with natural light making this kitchen the perfect gathering place for your family. The master bedroom for this home is spacious with a gorgeous ensuite bathroom. The bathroom boasts a double sink and enormous soaking tub. With both a back and front porch, this home is the perfect place to relax and unwind in nature. This home has a large fenced in backyard with a play area for kids already included! An idyllic stream sits nestled directly behind this home, the perfect background noise for you as you unwind and relax in your backyard. Directions: Driving North On Rt. 288 Exit Onto Old Hundred Rd. Left On Charter Colony Parkway. Left On Mill View Dr. Left On Mill Bluff Dr. Left On Waterwheel Dr. Right On Millstep Terr. 2nd House On The Left.